We all know the weather is unpredictable no matter how many radars or meteorologists tell us otherwise. Mother Nature is impulsive and she strikes at will. A common and sometimes unpleasant result of severe weather is power outages. During a thunderstorm outages may last a couple of hours but extreme weather conditions have been known to leave civilians without power for weeks at a time. The 2008 ice storm that swept the Northeast region of the United States is a perfect example of how detrimental volatile weather can be. It left over a million without power, some for weeks. How fast power can be restored really depends on the weather conditions and the resources available in each location. While extreme weather is not necessarily an everyday issue-and it varies by location-there is still an impact incurred by smaller and more frequent storms that cause power outages. Power outages affect not only lighting but heating, electric water pumps, and your home security system. Does that mean you will be unprotected during an outage? That depends on what type of system you have. At Perfect Connections, Inc. we provide customized security systems that help protect you and your family even in the direst of situations. 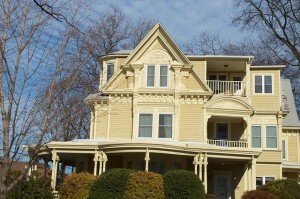 Our experts have been securing homes in northern and central New Jersey since 1992. As we are based in New Jersey, we are no strangers to the inclement weather and its effect on local residences. What happens during a power outage? Everyone goes scrambling for lanterns, candles, and maybe a puzzle to pass the time, right? Okay, so you have the entertainment portion down, but what about the safety of your home. Will your security system still work during a power outage? As previously mentioned that really depends on what type of system you have. Some of the most common operating modes for security systems are through phone lines, cellular radio, VoIP (Voice over Internet Protocol), and the internet. With an alarm system that operates through traditional phone lines, it will continue to communicate with monitoring services even during a power outage as phone lines typically stay up and running. Like many systems, the central control panel will continue operating off its backup batteries. How long the backup batteries last varies; some may last hours, others may last days. Your security system provider should have information on how long your backup batteries will last. A system that runs off cellular radio capabilities will also rely on backup batteries during a power outage. This is a wireless system so communication would be unaffected. VoIP wireless systems rely on internet and phone lines for power and communication so if power is out and internet is out, you can lose communication with monitoring services. Internet based systems have been touted as the least reliable during an outage. The reason being they lose communication capabilities if the internet is out, which if the power is out the internet typically follows. To ensure that you will be covered during a power outage it’s best to be prepared. To be prepared you should know what type of system you have and talk with your provider to find out what would happen if an outage occurred. You don’t want to assume you’ll have 2 days of backup battery when you really only have a few hours. Stocking extra batteries isn’t a bad idea, especially if you live in an area that is prone to inclement weather. Knowing your systems capabilities and limitations will leave you better prepared in the event of an outage or any emergency for that matter. Aside from knowing the ins and outs of your security system you could invest in preparatory measures like alternative exterior lighting. One of the best crime deterrents, besides a comprehensive security system, is lighting. Burglars don’t want to break-in to homes that are well lit, it leaves them too exposed. You can’t predict the weather, but you can be prepared for it. Knowing the limitations of your home security system will help prevent panic during power outages and other weather related incidents. No security system is infallible, but having one significantly decreases the chances of catastrophe. Whether you are considering a security system for the first time or looking for expertise do not hesitate to call on our team of professionals at Perfect Connections, Inc.. We have been providing comprehensive security solutions to homes throughout northern and central New Jersey for over 20 years. Our specialists can guide you through the process from an initial assessment to final installation. It’s important to note that every home is different therefore each security system should be individually tailored. Don’t fall for a “one size fits all” solution. When you’re a homeowner one of your top priorities is ensuring the safety of your home. Your home is what protects you and your family. Nobody wants to deal with a home break-in but they are a sad reality in our everyday lives. Fortunately there are many ways you can safeguard your home from such devastation. The best way to deter crime is to be prepared for it. If you want to prevent a home invasion you must first understand when and how burglars are likely to attempt them. At Perfect Connections, Inc. our team of highly skilled professionals can assess the security risks specific to your home to help you avoid break-ins and other disasters. We have been providing security system services to homes throughout northern and central New Jersey for over 25 years. Our experts assess the security risks of an individual home and come up with a customized security system solution to fit its specific needs. What are some of the most common break-in methods used by criminals? Have you ever heard of the path of least resistance? That’s usually the route they will take when it comes to breaking into homes. There are many factors that can make their job easier, and you might be unknowingly aiding their attempts. 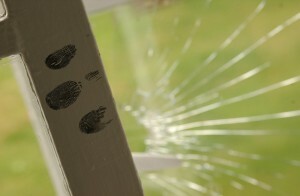 Leaving windows and doors unlocked or open are a surprisingly common way burglars get into homes. 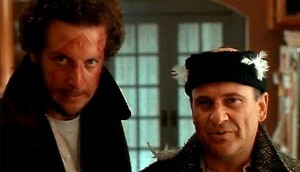 In fact 30 percent of burglars enter homes without having to use force. Spare keys left in indiscrete locations are another favorite of the home invader. It’s tempting to have a spare key for family members or friends, but if you’re going to do so don’t leave it under the door mat or in other obvious and easily accessed spots. Some crooks will walk right up to your front door, ring the bell, and if you answer they will pretend to be selling something. They’ll probably make up a bogus story about who they work for. Whatever you do, do not let them in and ask for identification or find the company number to call and verify their identity. Do not use a number they provide as it could be a ruse. When they’re putting on this act they’re trying to get a better view into your home to see if you might have a security system and what goodies they might come back for. Sometimes criminals will ring the doorbell and if no one answers they might go to the back of the house to try to enter through a back door or window. Even if the doors and windows are locked burglars often carry tools like crowbars to aid their break-ins. However, if it takes them longer than a minute to get in they’ll likely move on to the next target. The harder you can make it for someone to break-in the better. How can you make it harder or less appealing for criminals to break-in to your home? One of the best lines of defense is installing a comprehensive home security system. Burglars are less likely to attempt a break-in if the targeted house has a security system, it gives them less time to escape and a higher chance of being caught. In fact 90 percent of convicted burglars said they would avoid homes with alarm systems. Keeping vegetation trimmed is important in preventing a break-in. Burglars often use unkempt bushes, trees, or flora close to the home as hiding spots where they can sit and wait for an opportune moment. 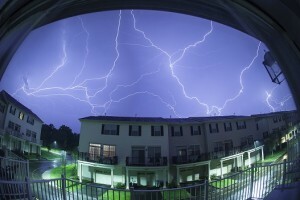 Lighting is a great deterrent as well. Motion activated exterior lights are helpful because they somewhat eliminate the sneaky element by exposing whatever moves in their path. Using light timers or home automation to control your interior lights will help prevent an intruder from attempting a break-in. It’ll help create the illusion that someone is home even if they aren’t and burglars tend to avoid break-in attempts if someone is there. Installing deadbolts is another way to at least slow down an attempted break-in. Having a single door knob lock leaves you vulnerable to thieves who use things like bump keys. Bump keys are essentially master keys used by locks smiths, they can supposedly open up to 90 percent of traditional locks. With a burglary occurring every 15 seconds in the United States, you can never be too cautious when it comes to protecting your home. At Perfect Connections, Inc. our experts provide customized comprehensive security systems that fit your specific needs. It’s not just about protecting the physical property, it’s about protecting that peace of mind that is so hard to get back after a break-in. Don’t fall victim to the mentality that it could never happen in your neighborhood, no community is immune. Instead be prepared and don’t be a victim. When it comes to home security systems, you may have heard the phrase “interactive services.” You may have even heard the terms “home automation,” “connected home,” and “smart house.” What do they all mean, and how are they related to home security? They’re meanings are essentially the same, and in relation to security, they describe the ability to remotely interact with, and access, devices in your home by means of a mobile device or computer. If you have a comprehensive home security system, you likely have cameras, motion detectors, door and window sensors, fire and carbon monoxide detectors that communicate with a central control panel located in your home. Being able to connect and interact with these security features from a remote location is beneficial for a multitude of reasons. Cameras and motion detectors aren’t the only devices you can access from afar. Imagine being able to adjust the temperature in your home before you get there, or turning lights on and off, even opening or closing your garage door. In partnering with Alarm.com, Perfect Connections, Inc. has been providing these interactive service options to homes in Central and Northern New Jersey for years. Our team of licensed professionals can help you customize a security system that will connect you to the inner, and sometimes outer, workings of your home. First, you have a home security system installed with all of the sensors, cameras, and detectors that you and your security systems specialist customized. In order to access the full functions of your remote services you must have an interactive service plan with a company like Alarm.com. After that, you simply download their app on your tablet, smartphone, computer, or other mobile device, and you’ll have total home control at the tips of your fingers. There are basically two ways a home can become “connected.” Wireless or hardwired. The trends of our progressive society tend to make everything more technological, therefore, many security systems are being installed wirelessly with cellular backup. This eliminates the need to cut holes in walls and have dangling or exposed wires. Wireless technology is particularly favorable if you own an older home where breaking open walls isn’t an option. The same technology that works for our cellphones and Bluetooth devices can now be implemented in the home. More and more homeowners are leaving landlines in the past and switching to cellular devices anyway, making the connected home a smoother integration. A hardwired system does required cabling, however, it has been in use for a longer period of time, and proven to work. Some home automation systems use a combination of both wireless and hardwired technologies. To determine what type of system is right for your home, hiring a professional to perform a full assessment is your best bet. Depending on how many, and what kind of devices are connected to your system, your operating choices are seemingly endless. By using the mobile app, you can gain access to the security cameras inside and outside your home to see what is happening throughout the day. Certain motion detectors can be set up to send you snap shots of specific areas and activity in your home. Your system can be set up to notify you when you kids arrive home from school, if you’re not able to be there. The ability to adjust your thermostat and turn lights on and off is a common feature. Check-in on loved ones and/or pets throughout the day. Having interactive services as part of your comprehensive security system will alert local authorities to any disturbances at your home while simultaneously alerting you on your mobile device. Controlling and accessing various devices in your or a loved one’s home is advantageous for a multitude of reasons. One of the most obvious benefits is that it provides peace of mind on a constant basis, knowing you’ll instantly be notified of what matters most to you. Being able to remotely adjust your thermostat and turn lights on and off will lower your utilities bill and inadvertently help you waste less energy. Remote access is extremely convenient, you have control in the palm of your hand at all times, as long as your device is charged. Having remote capabilities will save you time by not having to rush home last minute to adjust appliances or unlock doors for pet sitters, family members, or scheduled visitors. With services provided by Alarm.com alerts and access don’t have to stop even when your system is unarmed. The functions of your home become more efficient. Utilizing a connected home system is a great way to help your loved ones maintain their independence, but also ensure their safety. Specific features allow you to make sure a family member is moving throughout the day, not leaving potentially dangerous appliances on, and you can activate or deactivate their alarm system for them if they forget. Maybe a family member uses an emergency response pendant (like Life Alert) which requires them to take action. But what if they can’t? Services provided by Alarm.com simplify their life and yours by not requiring personal action in case of an emergency. It’s a non-invasive approach to protect your family. Whether you’re considering the Connected Home for the first time or it has been on your to do list for a while, don’t hesitate, contact the security professionals at Perfect Connections, Inc. for an in home assessment. Our team knows the safety of your home is paramount in the protection of your family. We have been providing service to Northern and Central New Jersey for decades, so you can be confident in our security knowledge and expertise. As the technology driven world continues to evolve, our lives are becoming more and more connected. Virtual distances are shrinking. This has been happening since the inception of the internet. You no longer have to fly across the world to have a meeting, you simply login to a virtual meeting where you can talk “in-person” via video chat. Although it may be imperfect, technology has certainly had an impact on all of our lives in one way or another. As a licensed security system provider, our professionals at Perfect Connections, Inc. are always looking for the best ways to protect your home. We have been providing comprehensive security system solutions to residences throughout northern and central New Jersey for the past 25 years. Technological advancement means we are constantly learning and adapting our solutions to best suit client needs. That’s not to say just because something is new that it should be implemented, we do our due diligence before installation of any product including home automation devices. Home automation products aren’t exclusively linked to home security. In fact there are a plethora of automation devices that can be installed separate from a security system, often requiring a DIY (do it yourself) approach. For example there are devices that can be attached to kitchen appliances that can be controlled by logging into apps on your smartphone. However, rather than complicating our daily lives by having to download separate apps for everything in our homes, we have steadily been adopting technology in an effort to streamline and simplify. When it comes to home security, with DIY solutions you’re likely not getting full coverage while simultaneously complicating processes. Plus they often lack continuity and one of the most important aspects of a security system, monitoring. Rather than separating the functions of a home security system and home automation, integrators and homeowners are combining the two creating more efficient and effective life safety and lifestyle systems. One of the top benefits of home automation is convenience. 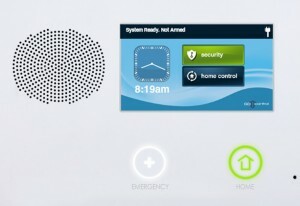 Capabilities include remote interaction with home devices and your security system. Imagine being able to know the exact moment your kids walk through the front door while you’re at work or on your way home. 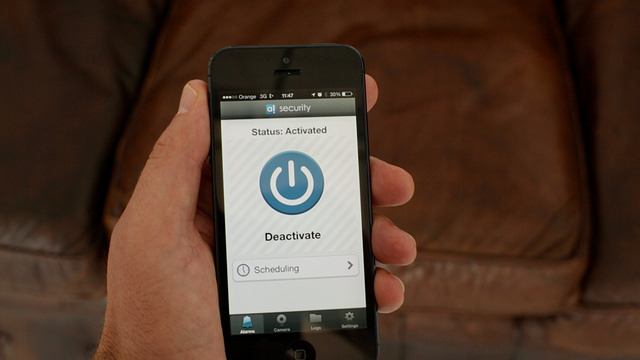 With home automation you’re able to set up custom notifications that will be sent to your smartphone, mobile device, or computer. This means you can go on vacation and be notified of temperature drops in your home, package deliveries, or close the open garage doors you forgot about before you left. Depending on your home automation application, often times you can log-in to your surveillance cameras, turn lights on and off, lock and unlock doors, control media (audio and video), arm and disarm your alarm system, all from the convenience of your mobile device. When integrated with your home’s security system a singular control panel can be centralized to help avoid confusion that can result from having too many different operating mechanisms. Fortunately there are ways to decrease the chances of being hacked, both on the user and integrator end. In many cases home automation operates wirelessly over a home Wi-Fi network. No matter how protected you think your network may be it should always be protected with encryptions and user authentication. The same holds true for connected security devices and any device that transmits a signal. There must be authentication between home automation devices, the security system, and whatever mobile device you are using to access them. Otherwise your system is susceptible to third party hackers. Take the case of Insteon home automation systems back in 2013. Kashmir Hill, a Forbes Staff Writer, highlights the findings of David Bryan and Daniel Crowley, security researchers at Trustwave, and what they discovered is alarming (for lack of a better word). They found that not only was there a lack of password protection on the consumer end, but that the Insteon products (now discontinued, for obvious reasons) themselves did not require usernames and passwords and were “crawl-able” (searchable) on the web. This meant that anyone with a little know-how could access and mess with the connected Insteon products; unnerving to say the least. Be sure to hire licensed professionals that fully understand the products they are installing and how they will interact with your home network. While technology is imperfect and constantly transforming you can be sure if you hire a licensed security integrator with product knowledge and experience you’ll be setting yourself up for success. A professional with industry knowledge will be able to ensure your system is as secure as it can be by using products that require authentication and that your network is encrypted. As a licensed security system provider, our team at Perfect Connections, Inc. understands that securing a home and improving the lives of others doesn’t mean haphazardly throwing random products together just to get a job done. We have been providing security solutions to homes throughout northern and central New Jersey since 1992. Technological evolution is never-ending as is our commitment to providing the safest products and security systems available. 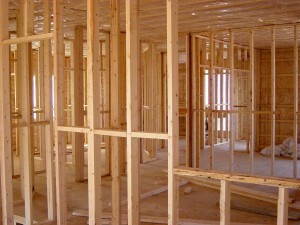 Home renovation is an exciting and fulfilling prospect for many homeowners. Whether you’re adding on or adjusting an existing space, it’s imperative to make sure your home is protected during the process. While renovating your home is rewarding for you and your family, you don’t want it to be a “rewarding” process for would-be thieves and criminals. Our experts here at Perfect Connections, Inc. understand protecting your home is a top priority, especially during a renovation when it is more vulnerable. We’ve been providing security system solutions to northern and central New Jersey homes since 1992. If you are renovating or adding on to an existing structure, don’t hesitate to call on our professionals before you renovate to discuss how best to protect your home during this process. Having a security systems expert involved from the get-go is essential for seamless integration and full protection. We understand the renovation process can be dubious at times, the following tips can help remove some of the hassle and uncertainty. When it comes to your home and family you can never be too careful. You wouldn’t hire a babysitter without doing your research first – the same holds true for finding the right contractor. A background check is a great way to tell whether or not the company you want to hire is reputable or not. Here’s the caveat, companies with bad reputations or failed business sometimes shut down and reopen under a new name (ACE Private Risk Services). So how can you really be sure of who you’re hiring? In many cases architects are involved in the renovation process. They should have good insight into which companies are trustworthy. Ask your friends and family for referrals. Use websites like Angie’s List to find out what other customers think about the contractor you’re interested in hiring. Gain as much knowledge about the companues of interest before making a final decision. When signing a contract, be sure it delineates who is responsible for what and that the associated cost makes sense. Sometimes contractors will low-ball the contract price and try to add cost later, blaming it on “unexpected” issues. Ask the contractor directly for a review of their past or most current jobs. Those with nothing to hide should be more than happy to provide them. After all, it’s your home, you want it done right. It is also important from a liability standpoint to be sure the contractor has insurance for his/her self and their workers. You don’t want to incur the cost of someone being injured on the job. If you have an existing security system in your home, use it to keep an eye on the renovation process. Having remote monitoring access through your video surveillance system will allow you to check-in on your home while you’re away at work or can’t be there. While you’re not out to purposefully accuse the people working on your home of being lazy, trying to rip you off, or stealing it is in your best interest to protect your property. Many, if not most, contractors are reputable and diligent in their work, but nobody is perfect and unfortunately there are companies that do try to take advantage. Take for example this story of a homeowner who was having the exterior caulking on his windows reinforced. The hired contractor had quoted him for 8 hours of work. The homeowner set up a wireless camera to monitor activity outside his home for when the contractor was scheduled to be working. He was able to see when the contractor arrived, and the hours he spent sitting in his truck NOT performing the agreed upon work. Ultimately, the contractor performed only 5 of the quoted 8 hours of work. When the contractor was paid for the 5 hours he couldn’t dispute it as the homeowner had irrefutable evidence (story courtesy of iWatchLife.com). Negative experiences aside, monitoring your home during construction can also validate the expertise a contractor has, giving you incentive to recommend them in the future. In all likelihood if you have an existing security system, you’ll be adding on to it in the new space or at least altering it during the renovation process. Including your security system provider from the beginning is a beneficial tactic. If you have a hardwired security system, what better time to include the security provider than when the walls are already open? It will save you from the cost of having to tear them open after the fact. Plus, your security expert/s can address your concerns before construction starts and openly communicate with the other professionals involved. Having that dialogue between the different professional services from the start will create a smoother and more productive process. Aside from hiring the right people to complete the job, you want to make sure the job site is adequately secured. One of the most basic, yet often forgotten or disregarded ways to help prevent damage or loss is to lock your doors and windows. While it may not stop someone from breaking in, it will certainly slow them down. This will help control who has access to various parts of your home during the construction process as well. Alert your security system provider of your upcoming changes, they’ll likely have suggestions on how to protect the exposed portions of your home. Like preventing fire damage by installing temporary smoke detectors and fire extinguishers. Confirm with your security system provider that your current fire alarm system will still function throughout the duration of the project. 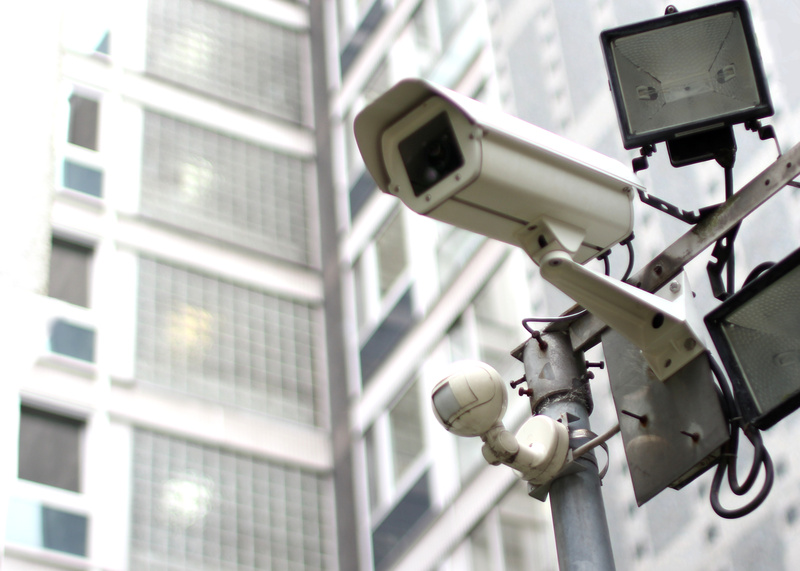 Even having your security systems expert install additional, maybe temporary, surveillance equipment will help you keep an eye on what’s going on. Keeping the job site clean and free of unnecessary debris should be part of the construction crew’s responsibility; it makes for a safer work environment and lessens the potential of property damage and injury. It also helps prevent damage to products being used in the renovated space. You don’t want to get charged for parts your own construction crew broke, right? It can be easy to get caught up in the excitement of a home renovation project, but don’t let that be a reason to let your guard down. 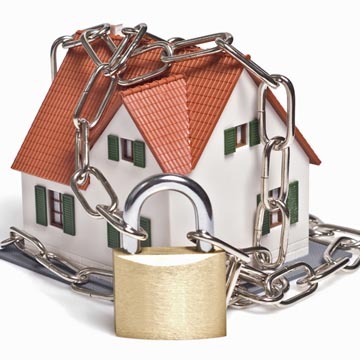 Keep your home and family safe by doing your research and maintaining security. Our team of experts at Perfect Connections, Inc. understand the value in protecting your home no matter what. We have been providing comprehensive security solutions to residences in central and northern New Jersey for over 25 years. Whatever you have going on, whether it’s a small renovation or substantial addition, don’t hesitate to call on our specialists for a security assessment. You’ll be setting yourself up for success! Think You Know About Security Systems? Think Again. A home is so much more than a physical structure that you reside in. It’s where you have lazy Sunday breakfast with your spouse and kids. It’s where you enjoy a cup of hot coffee on your back porch. It’s where you read bedtime stories to your children and tuck them in at night. It’s where you might keep precious assets. It’s where you and your family live life to its fullest. How and what are you doing to protect all of that? Odds are, if you haven’t already installed a home security system, you’ve at least thought about it at one time or another. So what has been preventing you from taking the plunge? Well, like many homeowners, if you think you know all there is to know about security systems, you’ve probably convinced yourself or been falsely informed that you don’t need a comprehensive security system. There are a vast array of myths and misconceptions about home security systems, and you will learn why and how they are simply untrue. My home is in a safe neighborhood, nothing bad could happen here. Yes, we would all love to believe that we live in a Utopian society where everyone contributes, gets along, and the sun is always shining, right? Unfortunately, just as the weather is unpredictable, so is human nature. Criminals don’t care if your neighborhood is considered safe, if they see vulnerability, they see opportunity. Don’t fool yourself into thinking your home is safe because of your surroundings. Statistically, 88% of all burglaries happen residentially, 86% happen when someone is home. Don’t wait for something tragic to happen. Take initiative and contact a trusted home security systems specialist at Perfect Connections, Inc. before it’s too late. I don’t own anything a burglar/intruder would want. While it may be true that you don’t own expensive valuable items, or have wads of cash lying around, burglars/intruders aren’t always after your jewelry or money. Whatever the intentions of a criminal, you have to assume if they are breaking into your home, they’re after something. Even if they don’t steal something of monetary value, they might accidentally grab something that is irreplaceable and of emotional significance, or worse, cause harm to you or a family member. According to safewise.com, “1 in 3 homes without a security system will fall victim to a burglary as compared to 1 in 250 homes that do have a security system.” Don’t presume to know what criminals are after, protect what matters most with a comprehensive security system solution. Security systems don’t work and are too expensive. Thinking your security system is going to act like an impenetrable force field that will deflect potential intruders or criminal behavior is just not realistic. Neither is believing a comprehensive security system won’t do anything for your home and your family, or that it’s too costly. The cost in damages from a burglary can be far more financially draining than the cost of a comprehensive security system with alarm monitoring. Never mind the emotional toll it can take on you and your family. Luckily, the evolution of security systems has allowed professionals to offer a wider range of economic solutions to fit your budget. You can actually save money by installing a home security system; many home insurance providers offer discounts for doing so. Beware of security systems companies that lowball their price quotes, odds are you’ll end up being just a number in a sea of inadequately protected customers. Watch out for companies that offer you an “accurate” quote over the phone, how can they asses your home’s needs if they’ve never been there? A full home security assessment should be done in person by a licensed specialist, and don’t let anyone convince you otherwise. Security systems have been proven to deter intruders, in fact the Electronic Security Association’s “Home Safety Fast Facts” report indicates 9 out of 10 burglars purposefully avoid homes with security systems. Thinking that security systems don’t work fast enough is inaccurate. Some systems alert the authorities within 45 seconds, and if a patrol car is in the area, the likelihood of the perpetrator being caught is higher. Even if a burglar were to get into your home, the second your alarm goes off, the sound and attention will typically drive your intruder away. My home is not built to accept a security system. My pets will set off false alarms, besides they’re like built-in security units. While a barking dog can make a potential intruder run in the opposite direction, they can’t always differentiate between a threat and a familiarity, never mind the fact they can’t contact emergency services. Pets may not alert you if they recognize the intruder, for example, someone who had previously done work in your home. A comprehensive security system does not discriminate, if a window is broken, the alarm goes off. If the door is kicked in, the alarm will sound and the authorities will be notified, giving you and your family time to get to a safe place. Worrying your pets will sound a false alarm is less of concern with todays’ advanced motion detectors. The detectors that are pet friendly are set to pick up motion from objects over a certain weight. This decreases the chances of a false alarm, and you don’t have to fret about your pets wandering around your home. All security systems are the same and they’re too complicated. Couldn’t be farther from the truth. Each security systems company will have different products, procedures, and policies. Your security systems professional should be able to customize a comprehensive system that suits the individual needs of your home. Don’t fall for a “one size fits all” solution. As far as systems being too complicated, technological advancements have simplified user interfaces making them easier to operate. Many systems utilize graphic touch screen controls that provide step by step instructions. It’s important to do your homework and shop around to figure out which company best suits your needs. Put your trust in companies with a proven customer retention record and a history of experience like Perfect Connections, Inc. We have 98% Customer Loyalty Rating, and have been providing security system services to Northern and Central New Jersey since 1992. So you bought an alarm system, what kind of maintenance and service should you do? Really, not much. It should work flawlessly for quite some time. The first thing to go will be batteries. All systems will have to have their system battery replaced after 3 to 5 years. When the battery is low, the keypad will notify you as will the central station. The batteries for most alarm systems in service today are 12 volt and 4 to 7 amp hour. Newer graphic self-contained systems have different smaller batteries, the 2Gig GO! Control has a 7.2 volt back up battery. All batteries should give you 24 hour back up. It is not a bad idea to schedule replacement of your battery every 3 years to preempt any possible issues. If you have a wireless alarm system, you will also need to replace the batteries in the various devices such as door and window transmitters, wireless motion detectors, wireless glass break detectors, wireless carbon monoxide detectors, wireless smoke detectors, key fobs, panic buttons, and other wireless devices. Most of the new devices use lithium batteries, from CR123 3 Volt lithium batteries to lithium watch sized batteries. The smaller the device, the smaller the battery. Typically the bigger batteries last longer, 3 years plus, while the watch type batteries last 2 years plus. Devices that are used most often, like entry doors, drain quicker. On the newer systems, the keypad tells you which transmitter has a low battery, making replacement easy. Make sure your alarm company shows you how to change the batteries during the installation. You should also get a list of the batteries required for all the various devices you have so you don’t have to scramble to find out when they are low. If you choose not to replace your own batteries, the alarm company should be happy to replace them for you. Older systems use typical alkaline batteries, 9 volt, AAA and AA are common. These need to be replaced more often. Many older systems don’t tell you when the batteries are low so regular replacement is necessary. Other than changing batteries, not much else is necessary. Make sure devices such as motion detectors and smoke detectors are clear of spider webs and that’s about it. If installed and programmed correctly, your alarm system should monitor all parts and devices on the system, as well as services it is connected to, like power, telephone, and cellular. If any of these systems go down, your alarm system should alert you to that fact. The first reaction is to think that there is something wrong with your alarm system, when in reality it is working correctly. It is supposed to tell you when it is compromised when a service it relies on is not working properly. Even though the system monitors itself, testing the alarm system is something that you should regularly do. You depend on your alarm system and you should make sure that it is working properly all the time. The best way to test the system is as follows: Call the central station and put the system on test. Arm the system and then trip a zone. Reset the alarm and then call the central station to make sure they received the right signal. Next week put it back on test and trip the next zone. Go clockwise around your house and you will eventually check all your devices and then start again. It is worth the effort to protect your home and family. If you live in Central or Northern New Jersey and would like information on any of the topics discussed above, or if you would like us to perform a Home Safety and Security Audit, absolutely free, please call 800-369-3962 or simply click the link below. There are many reasons to make sure the person you hire to do a job is qualified. When it comes to installing camera systems, it’s the law. In New Jersey, a professional surveillance system installer needs to be licensed by the Fire Alarm, Burglar Alarm, and Locksmith Advisory Committee. According to Eric Marcy at Wilentz Attorneys at Law, “many local Informational Technology Companies have begun to dabble in installing CCTV monitoring as part of their product/service offerings.” While it may make initial sense to hire an IT professional to install network-based cameras, they may lack many of the qualifications that a licensed surveillance system installer has due to the training required to obtain the proper license. If you’re not sure if the person or company you are hiring is licensed, you can verify on the NJ Division of Consumer Affairs website. If you live in Central or Northern New Jersey and are considering installing cameras in your home or business, please call 800-369-3962 or simply CLICK HERE. Our licensed integrators at Perfect Connections, Inc. have been providing custom and comprehensive security system solutions since 1992. Each year, shoplifting accounts for millions of dollars of loss for businesses all across the country. Some of the most common items stolen include watches, jewelry, music, books, clothing, and even car parts. While installing a security camera can help to identify suspects after the theft occurs, there are quite a few things a retailer can do to prevent shoplifting from taking place in the first place. • Greet customers as they come into the store. • Watch for the customers who avoid eye contact, linger, are constantly looking for the employees, wander around the store or seem to be overly nervous. • Make sure your employees keep moving and walking around the store. • Maintain the store and keep it well-organized and clean. • Restrict the use of the fitting rooms to only customers who request them. • Install various anti-theft devices. • Create a shoplifting policy and make sure to enforce it. • Hire plenty of employees. • Talk to other businesses in the area about suspicious behavior they may have seen. • Keep items that are often stolen in plain view. If you ever do suspect that a person is shoplifting, do not accuse them of this. Instead, just ask them if you can either help them or ring them up. Keep an eye on the person and contact security or a manager right away. You should never attempt to stop the person that’s shoplifting, and if they wind up leaving the store, try to provide a detailed description of the individual, as well as what they are driving. Good business security offers peace of mind and helps to prevent acts of vandalism and robberies. Being able to protect your business from a possible theft and break-in is essential for creating a safe environment for your customers and workers – all while protecting your assets. The first step is to take a walk around the building. Hunt for any damaged windows, doors or other locations where someone could get in undetected. Repair or replace any weak areas. 2. 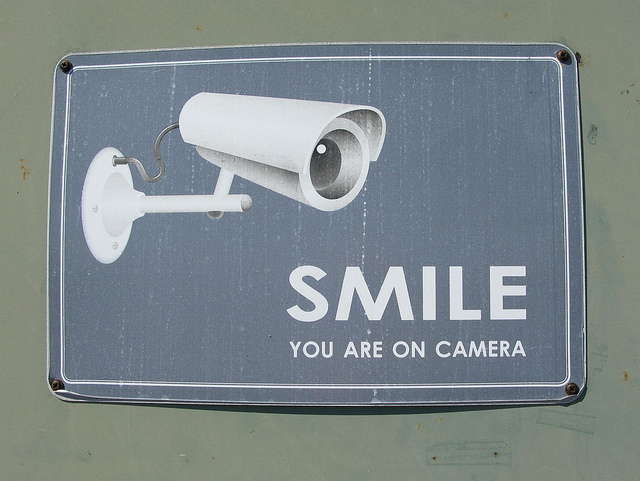 Use video surveillance (CCTV). This is perhaps the most important component of good business security. Having video surveillance allows you to see what is going on. With today’s CCTV systems, you can have live access to your cameras, day or night, from wherever you are (as long as you have access to the internet). And, if a break-in does occur, you have the evidence necessary to catch the culprit. This will also help protect your business from employee theft. 3. Use access control card systems. There are likely some parts of your business where you have rather expensive assets or sensitive information. When you install an access card control system, you will be able to limit some rooms to only authorized individuals. If someone were to break-in, they would have a hard time getting into these locked areas. 4. Advertise your security system. Once the security equipment has been installed, be sure that you post stickers and signs all around letting would-be burglars know about the system. When you secure your business as outlined above, you’ll have peace of mind knowing your location is safe and sound. One of the most important techniques to protecting your home is creating tiered security. It’s not very difficult for a burglar to get past one line of defense. The more difficult it is and the longer it takes a burglar to break into your home, the more likely they’ll run away. Neighbors are also more likely to spot someone breaking in if you are able to slow any potential thieves down. Adding additional tiers of security can easily mean the difference between staying protected and a potential robbery. The first tier is your exterior. Make sure your exterior is well maintained and looks occupied, even if you’re away. Unmowed lawns, newspapers on the porch, and mail piling up are all signs that no one is watching the house. Motion detector lights and well trimmed bushes/hedges protect you from people sneaking onto your property. If you need to leave a spare key outside, make sure it is well hidden and not in commonly checked places (under the mat, in the mailbox, under an out of place fake rock). For the most effective security, external weatherproofed security cameras with a 24 hour monitoring company can provide a high level of protection. Your house itself is your next tier. About 85% of burglaries take place with the thief entering through the front or back door. About 60% of break ins are accomplished using force. Replace hollow doors with solid-core doors, add a dead-bolt, and reinforce the door jamb with metal. Adding a security film to windows will make them much more difficult to break. Most importantly, make sure all windows and doors are locked when you leave the house, even for a quick trip to the store. 30% of burglaries occur through an unlocked window or door. Inside your house is the most critical tier. Use thick drapes and keep valuables out of view so burglars can’t see inside what you have inside your house. Electronics and jewelry are often the most sought-after items for criminals. Identify theft is also one of the fastest growing crimes. Make sure these valuable assets are protected – a large heavy Internal motion detectors, glassbreak detectors, and video cameras on an alarm system provide a comprehensive defense against potential burglaries. While the physical barriers to a burglar getting in is extremely important, another aspect to remember is the psychological defenses. Signs and stickers that an alarm system is installed in the house are great deterrents. A dog is also a very large reason many potential burglars would avoid a house – even if you don’t have one, making it look like you do by posting a sign or leaving a leash outside can help. 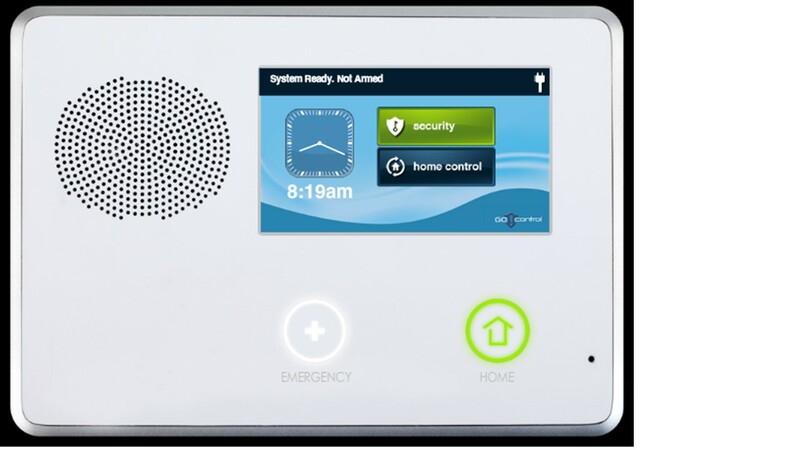 Audible alarm systems are not just to alert you or neighbors to a potential intruder, but also to scare away anyone that has made it into your house.